I haven't done a post in a while on my low brow ladies, so here's a real humdinger CARLA BEDINI. 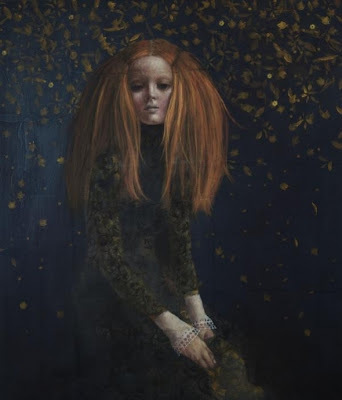 I adore the textured surfaces she uses for her work, the Klimt like gilded luminosity and Munch like gaunt darkness. She's captured a Game of Thrones like medieval fantasy and let it loose in Fae. Can't choose my favourite images, there are too many so go on a witch hunt yourself.